We are pleased to announce that we are sponsoring Operation Market Garden 2014 (OMG) in Brentwood for ex service men and women. In September 2014 team members of the OMG will be re-enacting an arduous 75 mile march, with full army kit to Arnhem. This will commemorate 70 years since the original mission. 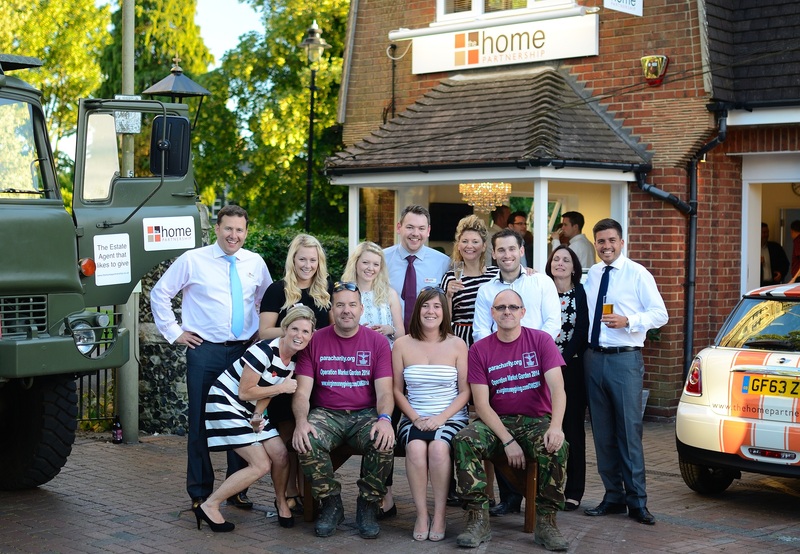 They joined us at the launch night of our Brentwood Office along with their truck Vera, who will be accompaning them on their journey. On our launch night we aided in raising donations and support by selling the OMG Ale, which is specially brewed by Brentwood Brewing Company and who are also making a donation from every sale to the Charity. This cause is close to our hearts and we hope that you will also help them in raising funds for Help for Hero’s and The Parachute Regiment Charity. We are delighted to announce that we are sponsoring the Chelmsford Summer Beer & Cider Festival which will take place between Tuesday 15th to Saturday 19th July 2014. We have tweaked our for sale signs to create enough room to promote the event and will be emailing the event to our mailing list as well as posting on our social media pages, Facebook and Twitter. Thursday 26 June we joined the annual charity run in aid of a the new Haven Hospice that is opening in Southend-On-Sea. Well done to all those who ran at the event! 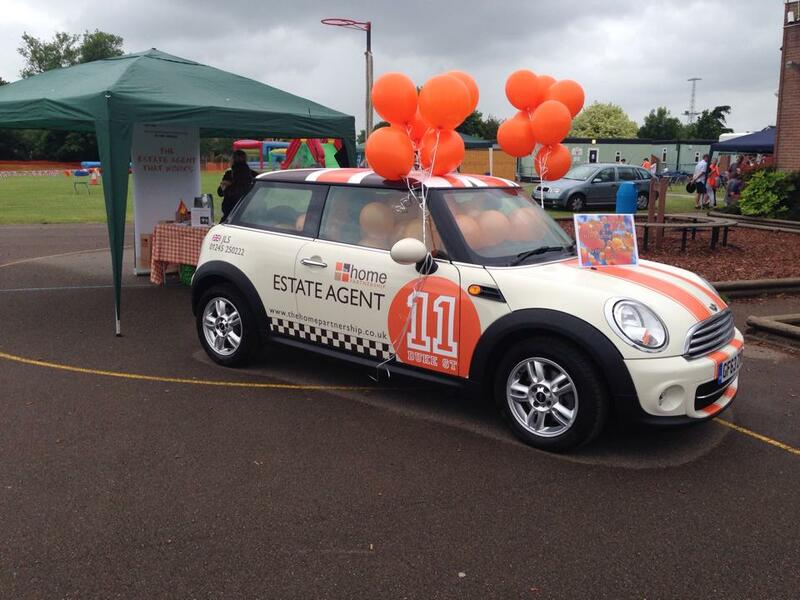 We were delighted to Sponsor Baddow Hall School Summer Fete which took place on Saturday 14 June 2014. 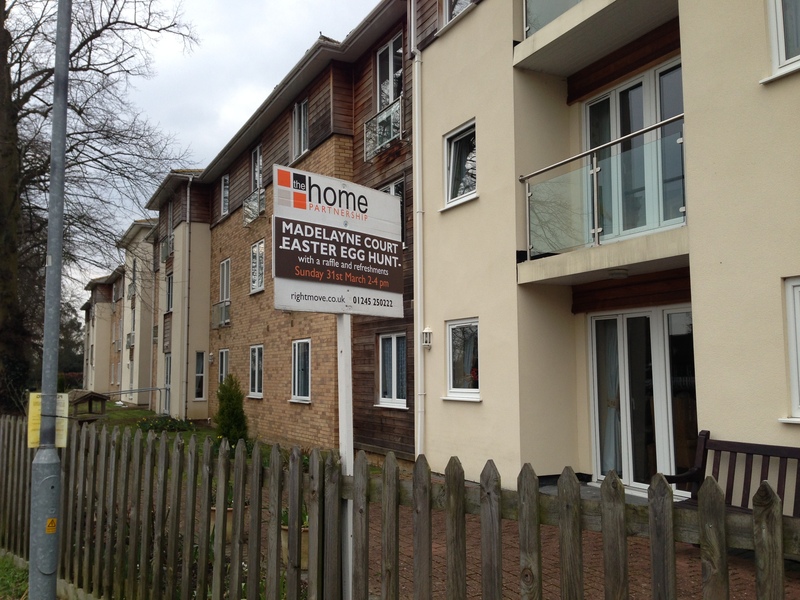 We tweeked our for sale signs by our in-house designers to create enough room to promote the event which stated the date and times for passers by to see along with posting several feeds on our social media pages, Facebook and Twitter. We held two competitions in association with the School Fete. First was a Facebook competition of 'Guess the location of the boards'. Jean Blake guessed all three locations correctly and visited us at the School fete to collect her bottle of bubbly! Our second comepetition which we held on the day of the fete was 'Guess how many balloons are in The Home Partnership Mini'. After 213 guesses from participants of all ages, Juanita Sarsa guessed correctly with 115 balloons and won herself a new Kindle Fire HD! Well we're not quite sure how we ended up jumping out of a plane for charity but we did and smashed our sponsorship target of £3,000 on the way! We had 189 people sponsor us raising a massive £4,529.50 which will raise to £5,401.88 once gift aid has been collected. Scott – commented “I’m still not entirely sure how we ended up agreeing to jump from a plane or how it started but I do know the event was superbly organised by Jo Stewart from start to finish. Jo sent out a weekly spreadsheet of how much each of the team had raised along the way as we needed to raise £300 individually to be able to board the plane. We were delighted to help promote Madelayne Court's Easter Egg Hunt on Sunday 31st March 2013 supplying them with some egg's, colouring books and pens for the children.